The Round Rock Express as entered into a professional development contract with the defending world champions, the Houston Astros. ROUND ROCK, Texas — The Round Rock Express has officially entered into a professional development contract with the Houston Astros, now cutting ties with the Texas Rangers. The baseball team made the official announcement on Thursday. The four-year agreement begins immediately and brings the club back to the Houston organization after it served as the Astros' Double-A affiliate from 2000 to 2004 and the club's Triple-A affiliate from 2005 to 2010. The move to the Rangers happened after Express owner Nolan Ryan became a member of the Texas Rangers front office. Ryan is now an advisor with the Astros and his son, Reid Ryan, is the Astros team president. As for the Rangers, they announced their new Triple-A home would be in Nashville for the next four seasons. Texas Rangers and Nashville Sounds enter into four-year Player Development Contract through 2022. New triple-A affiliate. In eight total seasons as a Rangers affiliate, the Express posted a 579-560 overall record and saw 43 different players make their major league debut straight from Round Rock. That's during a stretch in which the Rangers made four playoff appearances, including a trip to the World Series and three American League West Division titles. Five teams in the Pacific Coast League could be changing affiliations, with contracts expiring this off-season. In Round Rock, the deep ties to the Ryan family and the proximity to Houston make too much sense for the Express’ affiliation with the Astros. On Thursday, the Express also unveiled a new brand identity it says embodies the "heart and soul of the Round Rock community." The team's primary E-Train logo has been enhanced to authentically represent the historic trains that came through Round Rock along the Chisholm Trail. The center of the train is also a tribute to the iconic "Lone Star" Texas is known for. Fans will also notice a new "double-R" mark as well, a cattle brand nod to the Ryan family's love of ranching. It will be the focal point of a new, custom Express team font that will be seen in 2019. The team has also returned to its original navy and a new shade of red along with silver. Fans can also expect to see newly designed uniforms. 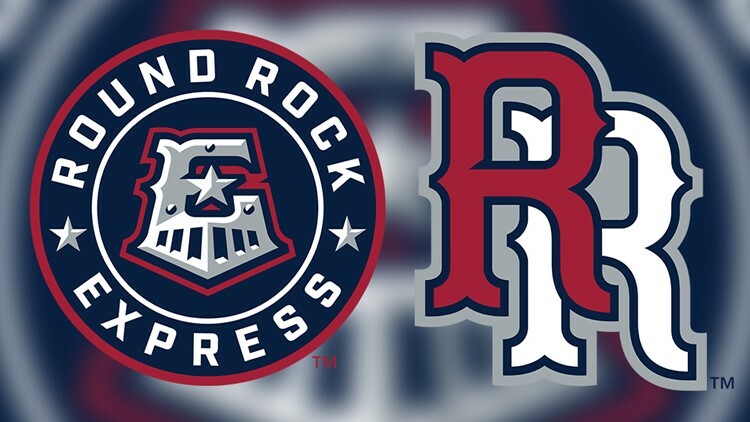 Friday morning, the Round Rock Express' president and team general manager will join the KVUE Daybreak team to discuss their decision during the 6 a.m. newscast.